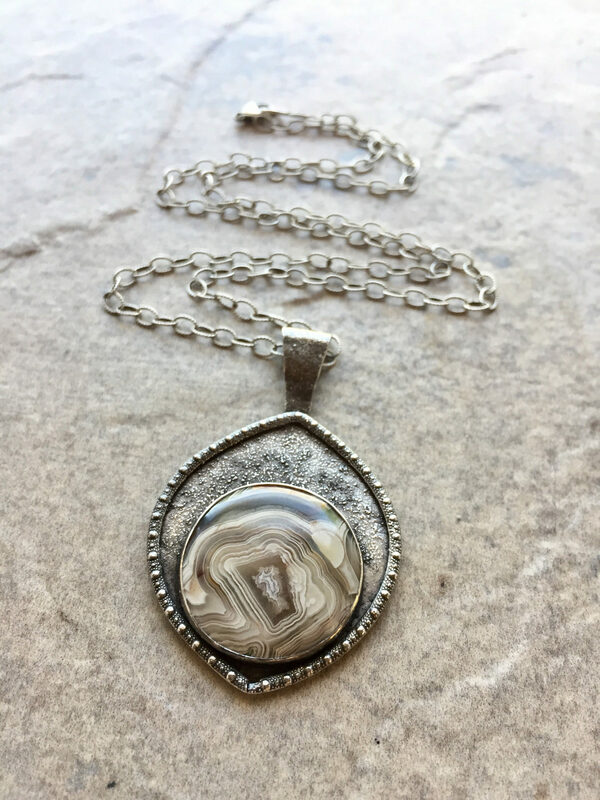 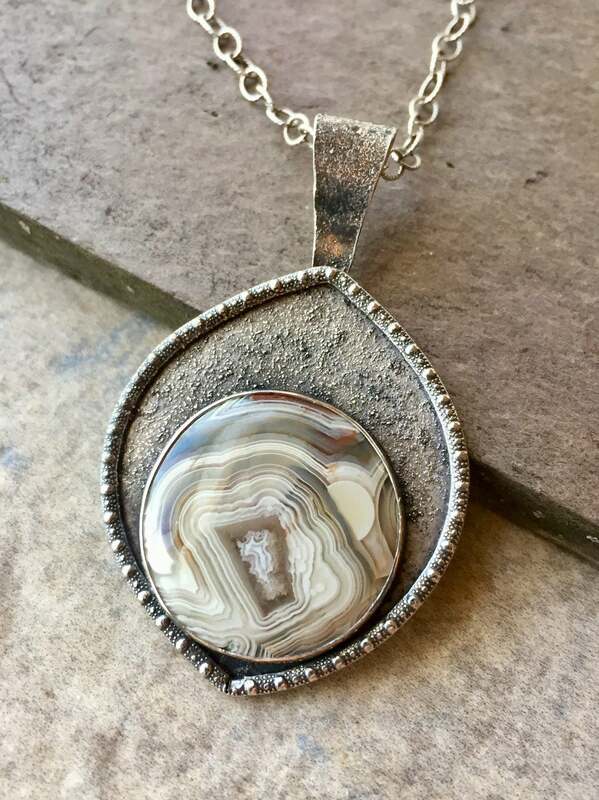 A stunning, large, round crazy lace agate has been set onto a silver shield with a patterned border and a stardust-like texture of shiny silver sparkles. 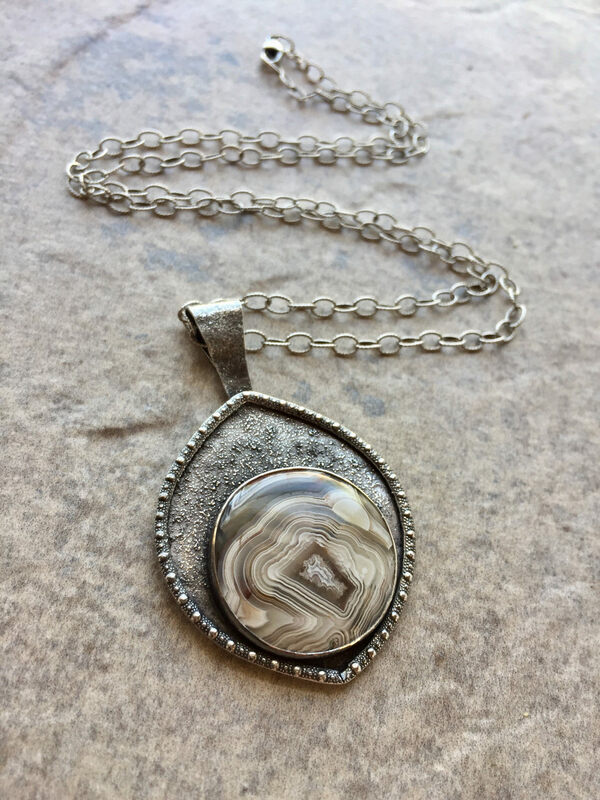 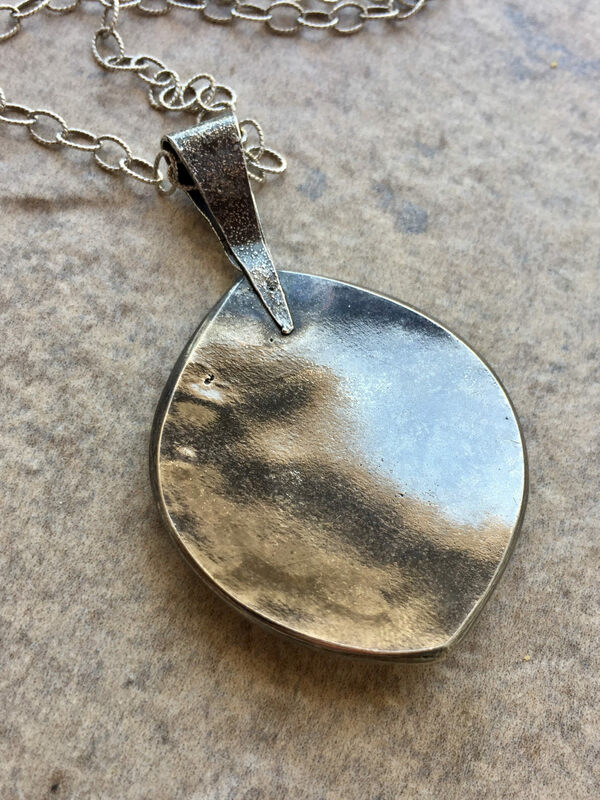 This is a graceful, mystical necklace with just the right balance of intricate banding in the stone and texture on the silver, balanced by neutral colors. 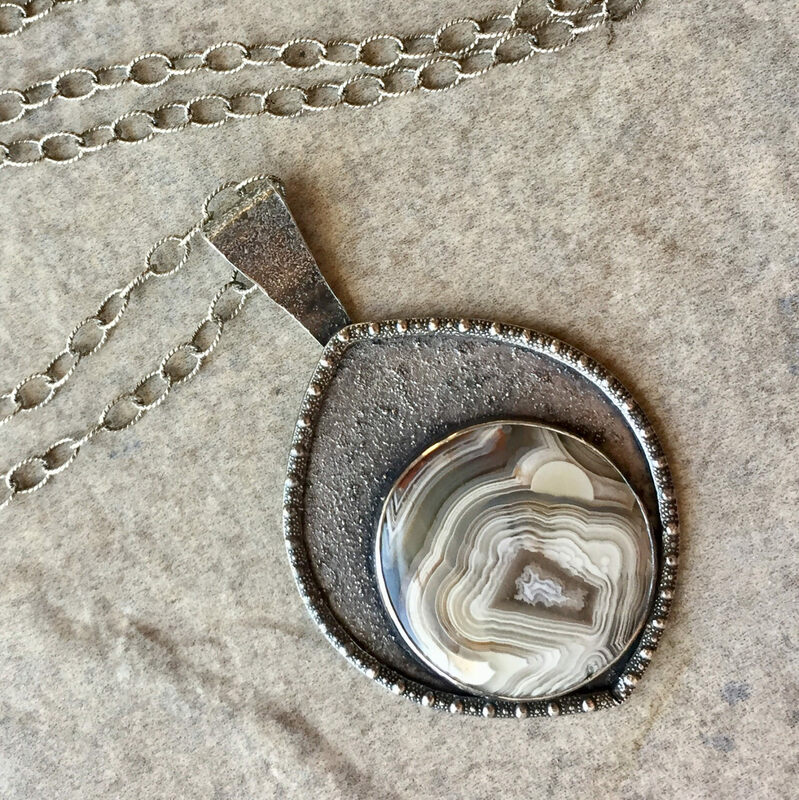 • The pendant is about 1 1/4" x 2".